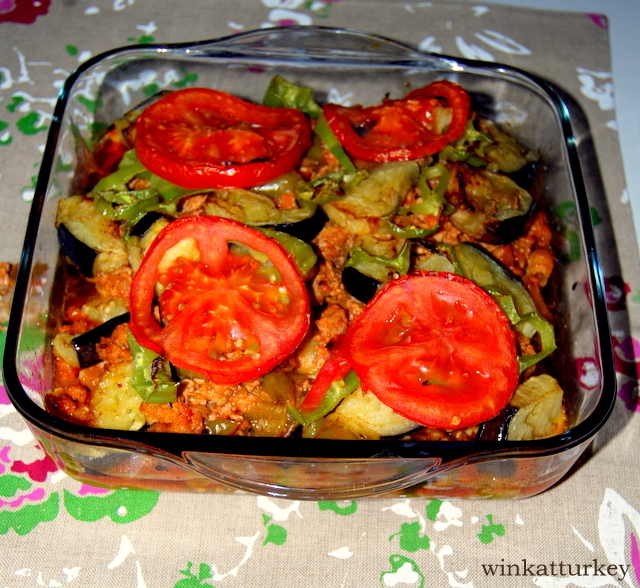 Eggplants are present in many of the Turkish meals, eat almost daily, cooked in many different ways. 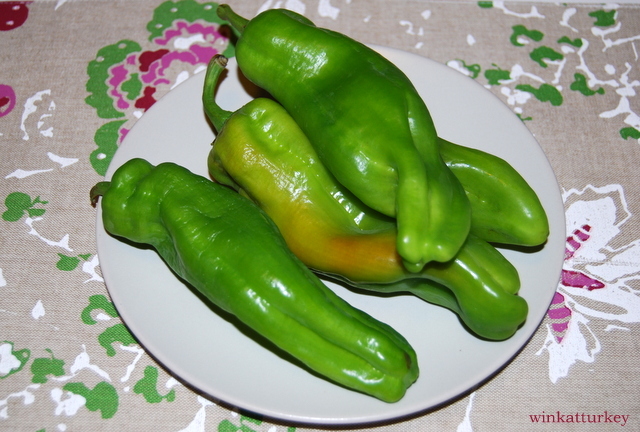 -4 or 5 green peppers. – 3 cloves of garlic. 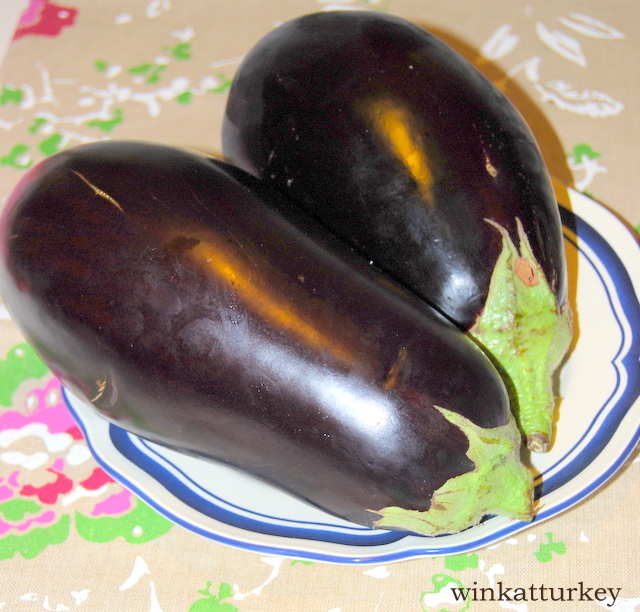 – 2 or 3 Eggplants. 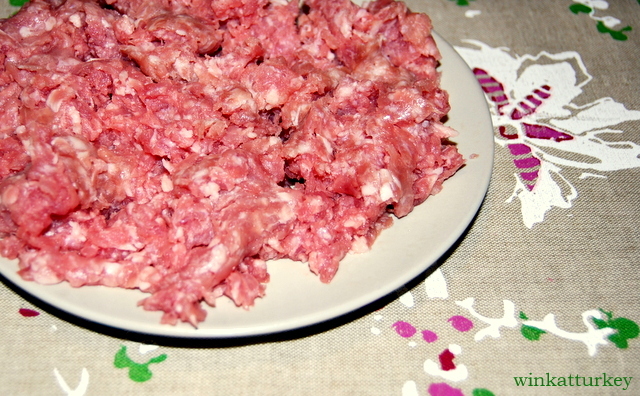 – 300 grams of minced meat. – Black pepper and salt. 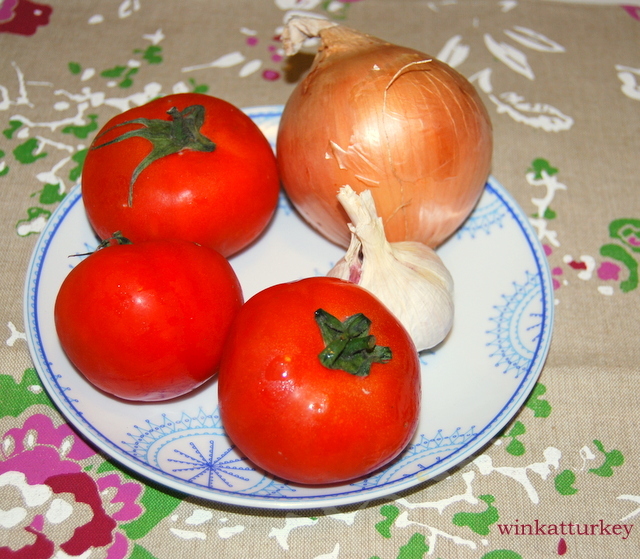 – 1 spoon tomato concentrate. Peel eggplants, not completely. Cut them in half and chop into slices 1 finger about. We put them in a bowl of water and some salt 15 minutes/20 minutes. 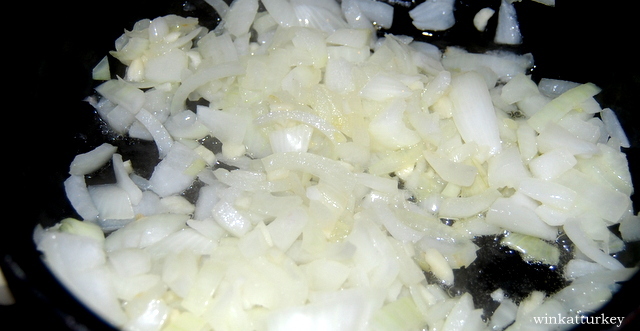 Chop the onion and chop garlic. We put in a pan a little oil and fry the onion and garlic cloves. 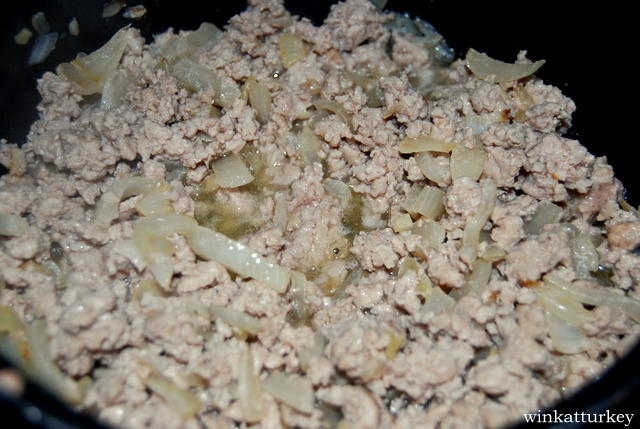 When it starts to brown a little, add ground beef. Stir everything well and cook for 5 minutes. 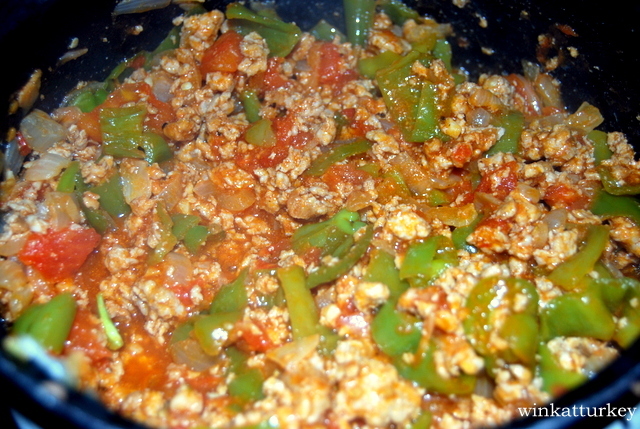 Add the chopped tomatoes, peppers and tomato concentrate Scoop. Removed todo bien. Add salt to taste and black pepper. Cook for 5 minutes. Add a cup of water and cook over low heat until ready to consume water. 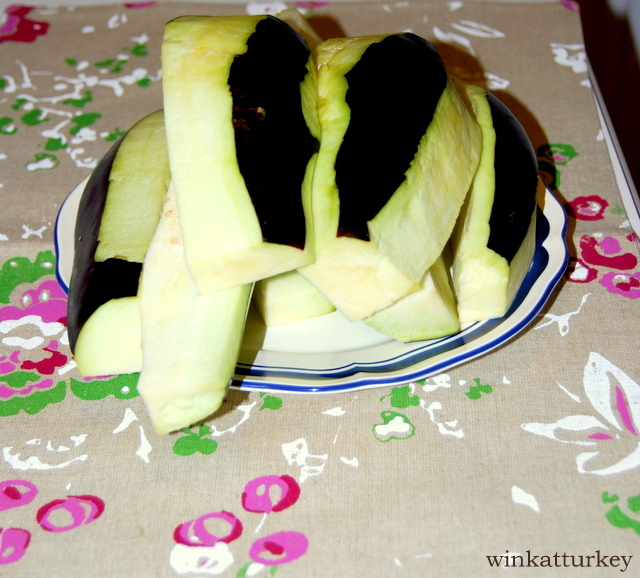 Now let's fry the eggplant which we started and put into water above. Better not use much oil for frying. The remove and put on paper towels to remove excess oil. 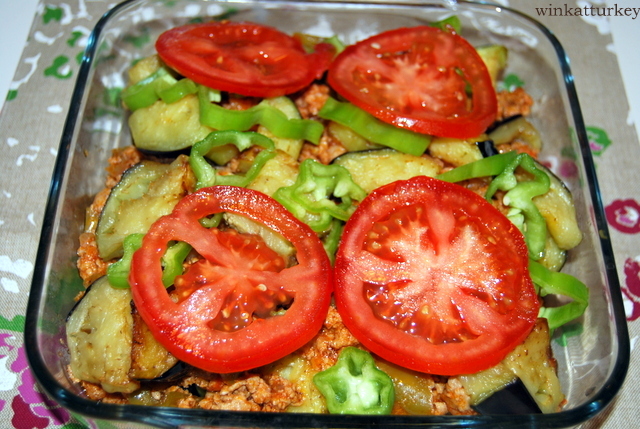 In a baking dish, put a layer of eggplant and above it the mixture of meat and vegetables that we have prepared. 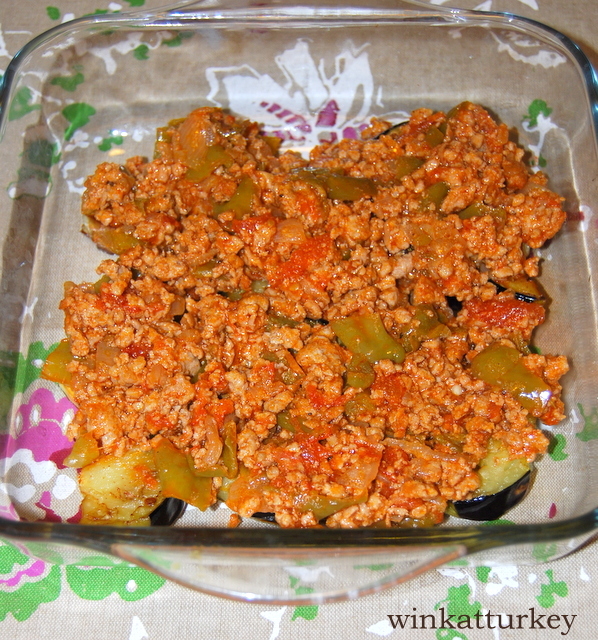 Again a layer of eggplant on it and another layer of meat and vegetables. 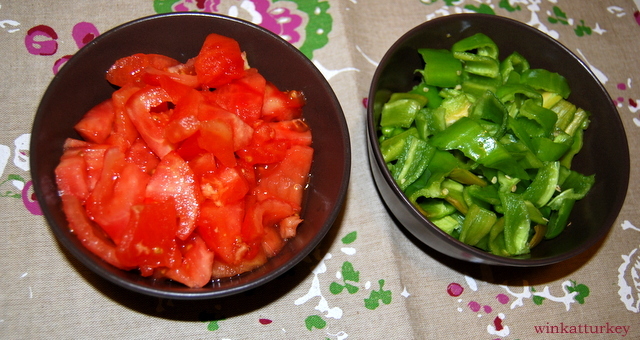 Garnish with a few slices of tomato and a few slices of green pepper. 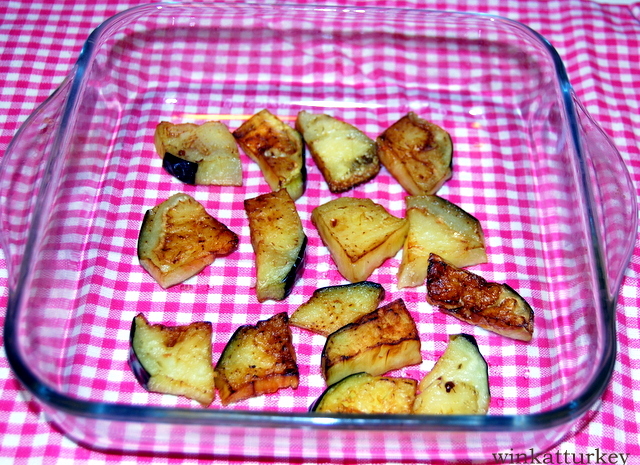 Put in the oven for 15 minutes at 180 º C.
When we can serve garnish with a little parsley and accompany rice or yogurt.